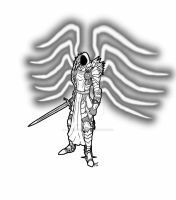 Finally after a month I've got the wings done,m as well as the fine tuning and painstaking cleaning from my lined art. All I need to do in the future is learn how to colorize and paint this little bum. I tried many ways to do the wings so there will be two versions of this piece with the wings looking different. Please let me know which one you guys like! 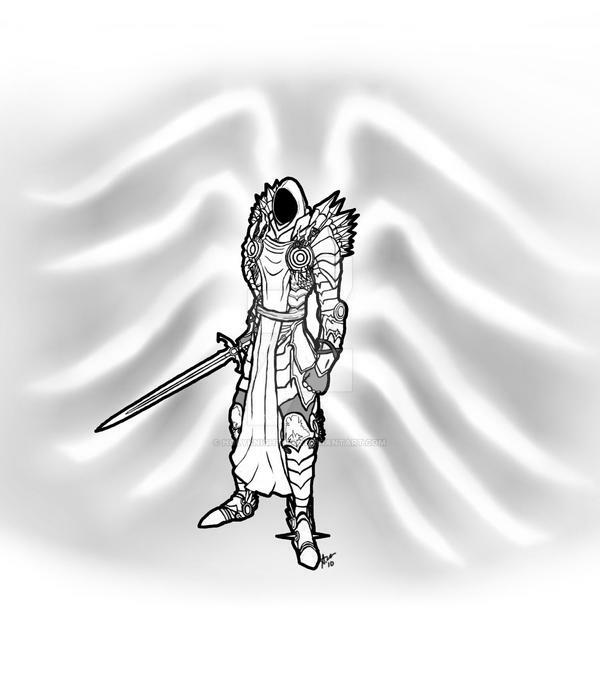 Based on the Tyrael Concept Art used as a reference. Originally freehanded using a mechanical 0.7mm pencil. This one gives a nice feel to it. Big light wings floating on his back. This one gives a Feel like an Angel's wings, while I like the shades of the other one more! yeah i loved this one more. reason why was due to it felt more tyrael-ish. Only reason i did the other one was due to my mom's neutral opinion and she thought these were too big so i redid them smaller but version B just didn't feel as good. I actually like this one better for it's form. The wings seem more relaxed and flow better. I agree it was the first try. All i did was paint some lines and use some smudge tools to make the wings be like they were. I also mirrored the left side to the right and modified them so they would match with the slight angel. After that i painted white on top partially faded to give that glow. Loved how the gray background i used to bring the wings to life added so much to this. Thanks for the comment Shack I appreciate it.